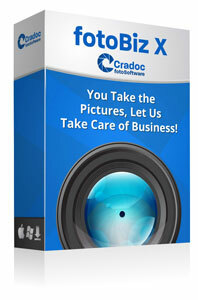 FotoBiz® takes the process of creating a stock photography quote and simplifies it for you. 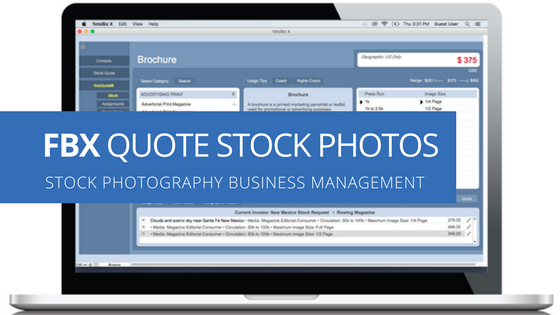 With our photo price guide, fotoQuote® Pro built-in, a click of a button is all it takes to automatically add usage fees to your quote. Here are just a few other features included in the fotoBiz X program that will help you stay on top of all the aspects of creating a stock photography quote. All of the information you enter onto your stock photography quote, from your line items and license details to your job description and terms and conditions is formatted and compiled for you creating a professionally prepared stock quote. When you send a quote stating your terms and conditions and how much the usage is going to be, there is more acceptance over the price and less questioning from your client about whether they can get it for less. The client receives a professionally prepared document and your asking price becomes official. With the flexibility of two types of licensing options included in fotoBiz X you have even greater customization of your licensing language. The AutoBuild option pulls together information from your metadata, line items and setup options to build a license for you automatically. This type of licensing applies to individual images on your stock quote and allows you to have multiple licenses on a single stock photography quote. These licenses can included different media uses such as print and web as well as varying expiration dates. With the AutoBuild License it’s easy to keep track of these multiple licenses. The Manual license is different from the AutoBuild license in that it applies to all of the images licensed on a single quote. In this case you build the licensing language from scratch and for those types of licenses you grant often, you can save them as templates for use later. This is a big time saver when licensing similar usages to other clients or the same client in the future. You can also include a thumbnail of each image on the stock quote. As you import image thumbnails the details in your metadata are added to your quote. This is a great time saving feature that will automatically populate fields in fotoBiz like the image description, file name and your custom tracking code with information from your metadata. 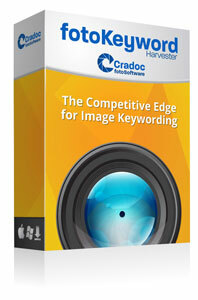 This information will be used for the quote as well as for tracking your image sales. When you create an AutoBuild license, your metadata and the pricing information from fotoQuote will be used to build your usage license. Below is an example of how it will look on your stock photography quote. When you license an image that has been assigned to a stock production, fotoBiz tracks your total earnings with the profit or loss from each shoot. You can also assign a category to the stock production such as lifestyle or travel. This gives you powerful feedback about what types of stock productions are paying off and which are loosing you money. Having a greater understanding of which productions and what style of imagery is selling will allow you to be more efficient with the focus your energy and resources. Knowing where you are profitable takes the guesswork and mystery out of running any successful business and could be the difference between those photographers who are in business tomorrow and those who are not. Pricing stock photography is just a matter of making simple selections in fotoQuote to come up with a price range. The expert negotiating advice in the coach tips will help you prepare for the negotiation that will help you decide on a price within that range. 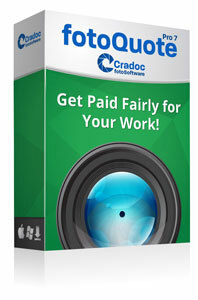 FotoQuote is the most powerful photography pricing and negotiating program you can own to increase your earning power. By studying the negotiating techniques outlined in fotoQuote, and applying the principles when you negotiate, you’ll discover you can earn much more than you thought possible for your stock images and video. While fotoBiz X comes with fotoQuote Pro 6 built-in, all new orders of fotoBiz X will include the latest standalone version of fotoQuote Pro 7 at no additional cost.